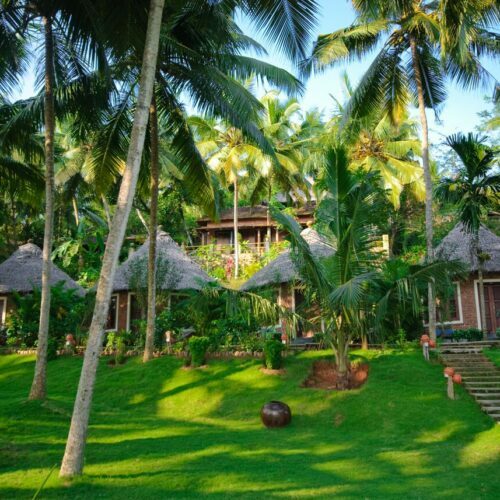 Anyone who’s spent time in India’s top Ayurvedic retreats can speak to the well-being, tranquillity, and relaxation that the experience provides. 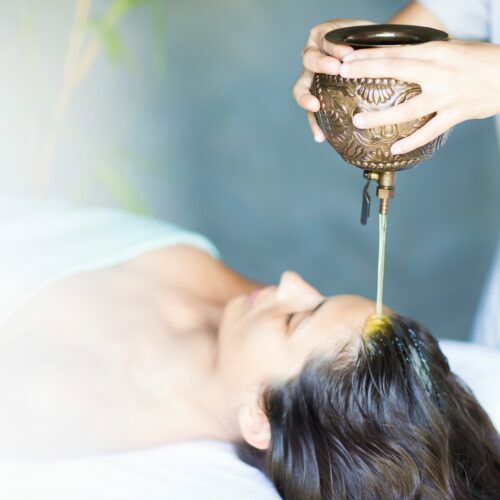 An ancient medical system with 5,000 years of history behind it, Ayurveda seeks to restore balance and promote healing in the body—and includes everything from oil treatments to a carefully prescribed diet. While replicating the full experience of an Ayurvedic treatment at a spa may be challenging, there are still a number of traditional practices that can be undertaken at home—many with ingredients you already have in your cupboards. Begin with these 10 at-home Ayurvedic treatments, from relaxing massages to toasty tonics, and you should notice a change for the better. One of the essential foundations of Ayurveda is also, fortunately, one of the most accessible. Pranayama breathing techniques are a simple way to soothe and replenish your body. Here are three classic methods you can try now. 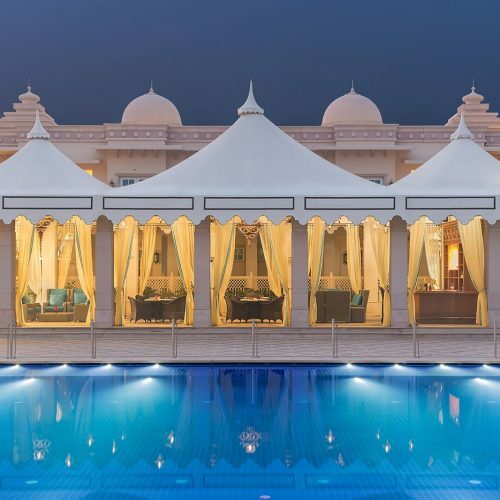 Just because you’re at home, rather than an exotic Ayurvedic getaway, there’s no reason you can’t enjoy a massage—you just have to master the technique of doing it for yourself. This video provides a step-by-step guide to performing abhyanga (warm oil self-massage). Follow with a stint in the sauna or a steamy bath to further the benefits. Known as nidra, good sleep is actually a key pillar of Ayurvedic practice—it’s essential to the body’s balance, after all. In addition to going to bed and waking up early, you can also encourage nidra with a comforting foot massage before retiring for the night. In Ayurveda, every individual has three so-called doshas, or vital energies: vata, pitta, and kapha (or air, fire, and water, respectively). Traditionally, turmeric is a key ingredient that’s used to balance all three doshas, and is prescribed for a variety of ailments. We’d recommend trying golden milk, or hot milk mixed with turmeric, black pepper, ghee, and honey, as an excellent starting point. An at-home Ayurvedic treatment for hair loss or greying involves just a few ingredients. Prepare a paste of one part cinnamon, two parts honey, and three parts olive oil, and apply to the scalp. Leave for half an hour before washing away. Struggling to fall asleep? Ayurveda offers a number of options for treating insomnia. Drink a glass of warm milk mixed with green cardamom before bed, or try your milk dosed with cinnamon and honey. Alternatively, a tisane of fresh and dried mint mixed with honey is the perfect evening beverage. If you’re battling the latest seasonal cold, Ayurveda can assist. A simple preparation of hot water infused with cinnamon sticks, dried hibiscus flowers, ginger, and honey is a treatment to try, while gargling a mixture of dried turmeric and hot water can also soothe sore throats. The next time you feel a bad headache coming on, mix ground cloves with cinnamon oil and apply directly to the forehead or temples. Leave for 20-30 minutes, and your pain should subside. Beyond physical ailments and imbalances, Ayurveda can also help mental and emotional wellbeing. For treatments to help reduce anxiety, add rose petals to boiling water, wait until lukewarm, and add a small pinch of sugar. Alternatively, a mixture of almonds, grated coconut, grated fennel, black pepper, and sugar eaten alongside saffron milk is another recommended approach. Seeking clearer skin? According to Ayurvedic practice, breakouts are caused by an excess of pitta dosha. Help counteract its effects by seeking out cooling ingredients—like fennel, coriander seeds, and aloe vera—drinking more water, and avoiding foods that are excessively spicy, sour, or oily.